Creating a niche of Control Systems such as DC Drive Control Systems and AC Drive Control System at its best, with utmost quality. Being the reckoned names in the industry, we manufacture and supply quality tested range of DC Drive Control Systems that are treasured for high performance and exceptional quality. These products are designed and developed as per the set quality standards and policies. Our entire product range is energy-efficient in nature and is available at most reasonable rates. 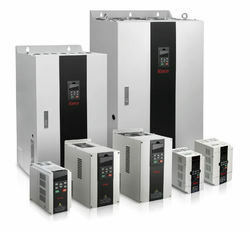 Being the leading names in the industry, we manufacture and supply technically advanced range of AC Drive Control System that are fabricated using quality approved components and sophisticated technologies. Our entire product range is extensively utilized in the different industries as speed controllers of AC induction motor. We offer them in varied technical specifications and can be customized as per the preference. 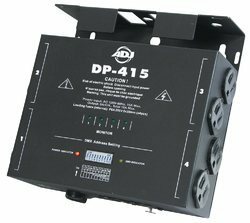 This Elation 6-channel dimmer pack is perfect when you need just a little more power or dimming control but don't want to bring out the big dimmer racks. With six independent dimming channels that can be addressed individually and it's 3600 watt total power capacity, this dimmer is truly one of a kind.